Point Lobos, & Lake Tahoe CA. Create the perfect mood for your home or office. 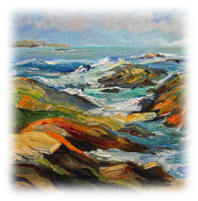 Adorn that special retreat or room with a theme that brings you peace with one of my original en plein air oil paintings or abstract art paintings. 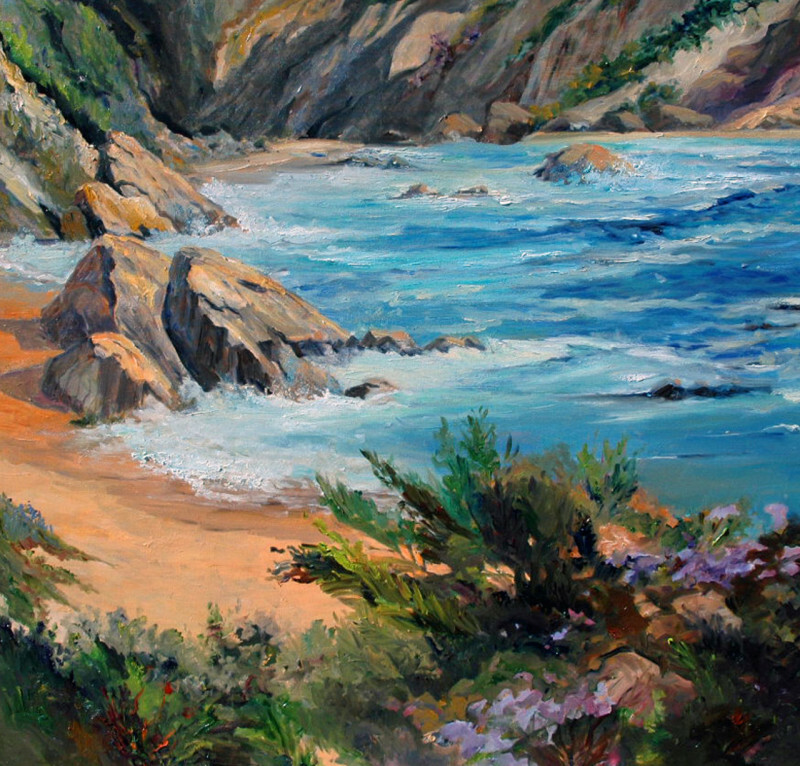 I have created many original oil paintings and pieces of art over the years and am blessed in that I often get repeat customers who return to see my latest art each year at Laguna Beach's famous Art-a-Fair Festival and at the Balboa Island Art Walk. 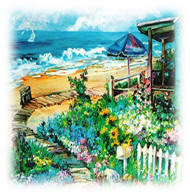 I also do acrylic paintings and mixed-media abstract art paintings but my specialty is doing fine oil paintings. Enjoy my scenic landscapes, beautiful floral bouquets, ocean and beach scenes, stunning seascapes and seashores, coastal pictures and panoramas, majestic mountains, and favorite getaway spots like Laguna Beach, Monterey, the Northern and Southern California coastlines, Lake Tahoe, the mission in San Juan Capistrano, quiet beach cottages with colorful beach umbrellas, winding paths among the sand dunes, a Southern California Beachside cafe, sandy seashores greeting the sunset waves, a windswept, rocky shoreline or romantic Catalina Island. Check out my fine art en plein air oil paintings. There may just be one waiting for you to bring home. I hope you enjoy my site. Tell your friends about it. 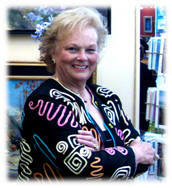 You can also see additional paintings by typing in Marge Kinney on your browser's search bar.